摘要：HÀ NỘI — Belarus will be the guest of honour at the 16th Việt Nam International Trade Fair (Việt Nam Expo) 2018, taking place from December 5 to 8 in HCM City. HÀ NỘI — Belarus will be the guest of honour at the 16th Việt Nam International Trade Fair (Việt Nam Expo) 2018, taking place from December 5 to 8 in HCM City. The fair, aiming to increase exports and enhance regional and international economic connectivity, has been hosted by the Ministry of Industry and Trade’s Trade Promotion Agency and Vinexad Company over the past two decades. The event will feature more than 750 enterprises from over 16 countries and territories, and is an important destination and a bridge connecting Vietnamese and international businesses. "Belarus always regards Việt Nam as an important partner in the region and hopes to continue promoting key projects between the two countries. The Belarusian government has made a written request calling to promote trade between the two countries, with a turnover reaching US$500 million by 2019," said Deputy Minister of Industry of Belarus Dzmitry Korchyk. 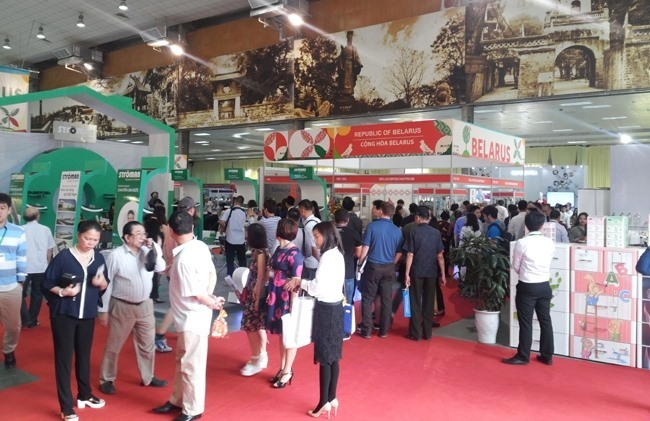 Belarus has chosen Việt Nam Expo as a destination for their enterprises to expand investment promotion in many fields. In 2016, Belarus was also the guest of honour at Việt Nam Expo held in Hà Nội. This year, Belarus expects to continue seeking co-operation with Vietnamese firms at a higher level, especially those based in the south. Nearly 60 leading Belarusian businesses will offer their key products such as agricultural machinery, urban infrastructure facilities, chemical and petrochemicals, prominent development projects model of Belarusian scholars and the latest innovations in the production of pharmaceuticals, food and beverages.